The Ministry of Finance has announced that 6% of Service Tax will come into effect in Malaysia on 1st September 2018, repealing the Goods and Services Tax (GST) which was first introduced as 6% on 1st April 2015 and further reduced to 0% on 1st June 2018. Unlike GST which taxes all goods and services unless an exemption is provided, Service Tax is only charged on certain prescribed services made by prescribed taxable persons. 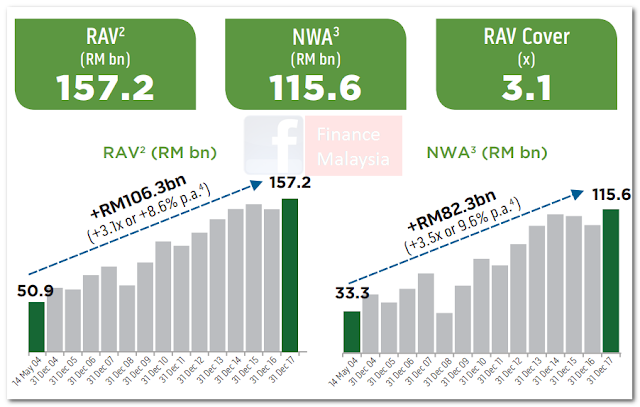 The 5 companies that Khazanah Nasional invested in may surprise you !!! First of all, we have to bid farewell to Tan Sri Datuk Azman Mokhtar for his great leadership and guiding the investment arm of our government - Khazanah Nasional Bhd - for the past 14 years. Also, this should extend to all board members who were collectively resigned voluntarily last month. Spectacular performance for the past 14 years !! !